“He looks just like B-P”! Akela 2016 kicks off today! Who are the volunteers behind the scene that are making this fabulous event happen? 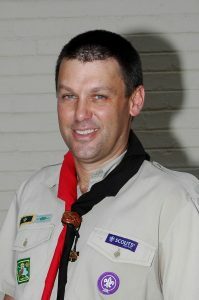 We spoke to Gary Pienaar is the Pack Scouter from 1st Bryanston and a member of the programme team at Akela 2016. I have been involved for over 28 years now! When my sons joined 1st Bryanston, I started helping out at weekly meetings as a regular parent helper. It wasn’t long before I was back in uniform and back in the swing of things. 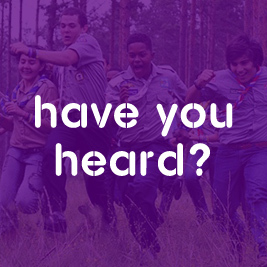 Scouting is one of those few pastimes that you can experience with your children, rather than watching from the sidelines. SSA: Name one of the most meaningful memories you have of your time in Cubbing? Each camp has its own special memory. Overall I would say it is watching each Cub grow in stature and confidence to the point that they are ready to move onto Scouts. Scouting was one of the key influences in my life while growing up. Many of the leadership skills I use in my professional life were learned as a Cub and Scout. The least I can do is give something back and hopefully inspire our next generation of future leaders. SSA: What is the nicest thing a Cub has ever said to you? Well, I can certainly tell you about one of the funniest – I was running a programme on the life of Baden-Powell. I had brought along a number of early pictures and items to illustrate the yarn. As I was telling the story, I put on my old Scout hat that we wore to the Jamboree, and a little voice whispers from the back “He looks just like B-P”! Somebody who is patient, but also firm and fair. Somebody who inspires others to try something new and grow as individuals. Linking up with old Scouting friends from around the country, meeting new people and making new friends. That it inspires our adult leaders to strive for excellence in everything they do, helping them deliver activities and programmes that excite children and contribute to a dynamic and vibrant Movement. SSA: Lastly, we asked 100 Cubs what the weirdest thing is that they have eaten whilst on a camp. What is the strangest thing you have ever eaten outdoors? That would be Mopani worms!